Sweden’s Stena and Bermuda-registered Stolt-Nielsen are reviewing their UK-registered ships ahead of Britain’s departure from the European Union, the two leading transport companies told Reuters separately on Wednesday. 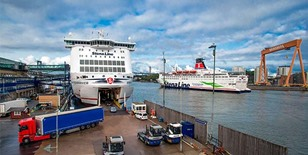 "In the light of the Brexit process we are considering whether the UK flag can become a possible issue for us when it no longer will be an EU flag post the 29th March 2019, but we have taken no decisions and are reviewing different scenarios," said Ian Hampton, chief people & communications officer and Brexit spokesperson for Stena Line. A spokeswoman for Stolt-Nielsen, which is listed in Oslo, said the group was reviewing the situation. Earlier this month, British ferry and shipping freight operator P&O announced it would shift the registration of its UK vessels to Cyprus ahead of Brexit, in part to keep its tax arrangements in the bloc.